Above all, we’re committed to offering and delivering exceptional, comprehensive dental care to each and every one of our patients. We strive to protect the health of our patients and add beauty to their smiles. Your comfort is of the utmost importance to us, and we won’t be satisfied until we have perfected THE ultimate experience that includes Five Star service, extraordinary dentistry, and gentle treatment to make a positive, lasting impression on the lives of our patients. Receiving the highest quality dental care shouldn’t be complicated. Our convenient office hours make it easy for you to fit appointments into your busy schedule. You can't plan for a dental emergency, so we make sure to allow time in our schedule for our emergency patients. If you have an emergency, call us right away. We can usually see you the same day and relieve your discomfort as quickly as possible. Insurance coverage and the cost of dental treatment are a concern for everyone these days. We're pleased to work with most PPO plans, and our knowledgeable team will assist you to ensure you receive the maximum benefits allowed. If you would like to learn about other ways to make your out-of-pocket expenses more manageable, we are pleased to offer the convenience of CareCredit interest-free financing. 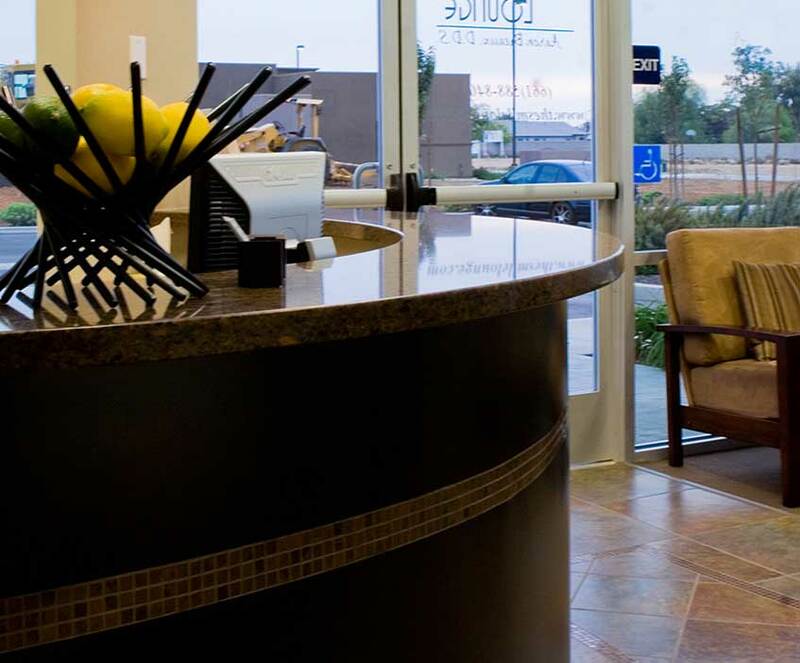 The team at our Bakersfield dental office looks forward to welcoming you as a patient and providing you with the best dental experience you've ever had. Please give us a call to schedule a visit; we look forward to welcoming you!